Want a Tech Services like programming but want to save cost? 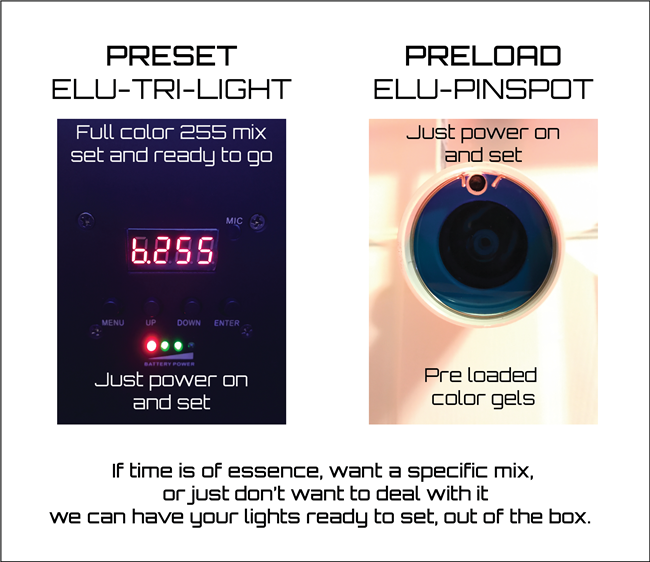 We will split the difference with you, by us programming and pre settings the lights and you set them. Our price covers up to 24 TRI UNITS and 12 PINSPOTS. They will be shipped with your specifications. Up to 24 TRI UNITS and 12 PINSPOTS. Our Technician will confirm the look you want and set your lights accordingly to work out of the box. Simply power on and place.